COCHE A ESCALA 1/43, DE LA COLECCION RALLY DE MONTECARLO ALTAYA, MODELO CITROEN CX DIESEL DE 1978. 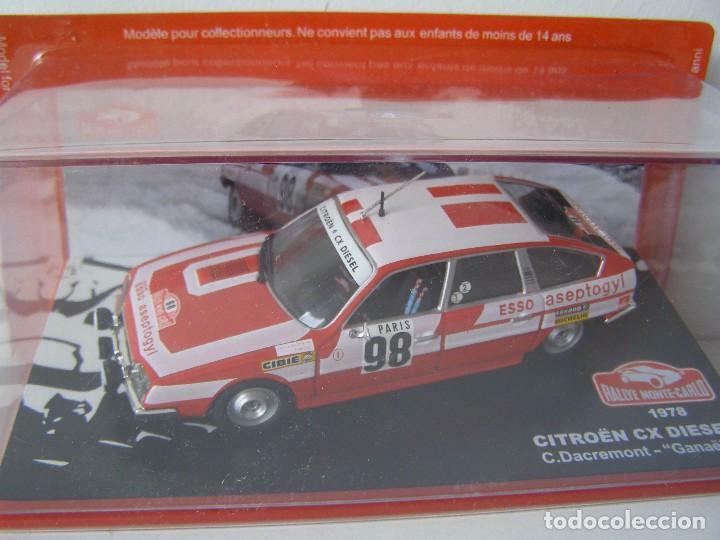 CITROEN VISA 1000 PISTES DE 1987, COLECCION RALLY DE MONTECARLO, ALTAYA 1/43. Hora oficial TC: 16:59:14 TR: 118 ms.